Have you ever wondered exactly how to understand food labels? For a long time, I was so confused by them. Do I pay more attention to the fats? Total calories? Well hopefully this will help you. The above food label is from a Grass Fed Greek Yogurt. One serving is 160 calories when you have 1 CUP. That’s the easy part, right. Monounsaturated Fats – oils that are liquid at room temperature but start to turn solid when chilled. Trans-Fats – made from oils through a food processing method called partial hydrogenation. Not a good source of fat. Carbohydrates are listed next which include sugar and fiber. And protein is usually listed last. 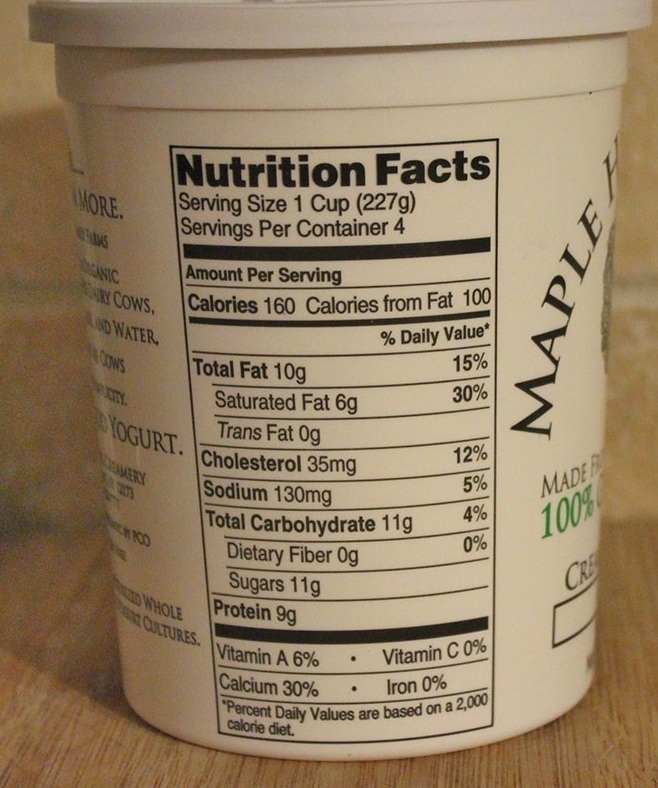 On this label there are 10 grams of fats, 11 grams of carbohydrates and 9 grams of protein. Add those numbers 90 + 44 + 36 = 170 calories which is close to the 160 calories they say. Yes, there will be times that it doesn’t add up to be exactly as whats on the label. Remember this is in 1 serving. As long as you are aware of how much you are eating then it’s pretty simple to track calories, right! 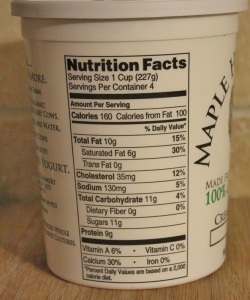 The major issue is eating ONLY the serving size that is listed on that label which can be very challenging. I suggest you measure on the serving size which helps me not take “just one more bite”. I hope this helps take some of the guess work out of reading food labels. Please leave a comment, especially if you find it a challenge to stick with the serving size suggested.